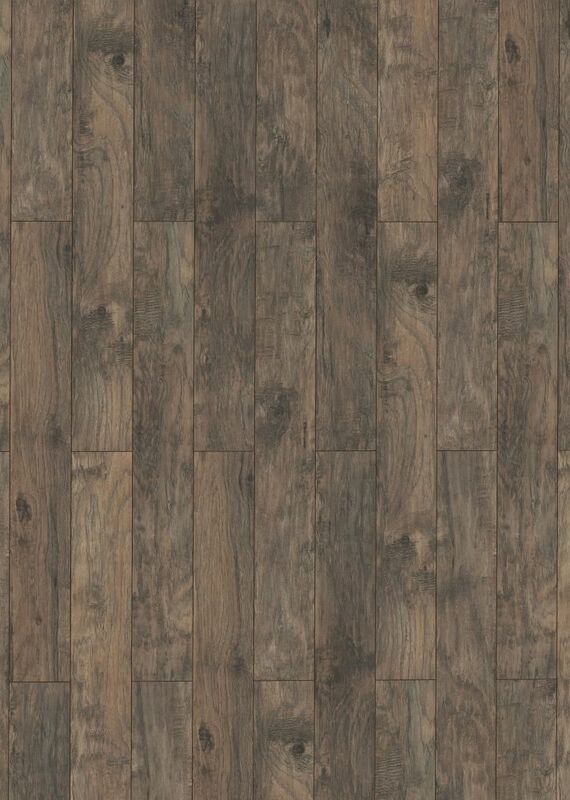 10mm Thick x 6-inch W Laminate Flooring in Hickory Dark Grey is rated 4.9 out of 5 by 9. Rated 4 out of 5 by PMAC from Decent product The look is nice and it went down without too much effort. Rated 5 out of 5 by Basement guy from Would definately buy again I bought this when the 10% off sale was on when putting the charge on your home depot card. Put it on top of DMX underlayment. Could not be happier. AC rating of 4 which is extra scratch resistant. Awesome for the price. Rated 5 out of 5 by DIYer from Would buy it again. I installed this on the entire 1st floor (1000 sq/ft). I looked for flooring for 3 months prior to purchasing this product. At $1.39 sq/ft, this both met the look and price range I was looking for. Love the locking system. I would recommend using a rubber mallet as well to tighten the joints. They look very well secured by simply dropping them in place, but smacking the board with the rubber mallet makes a difference. I won't go into the fiasco it was for the store clerks to bring the product off the shelf for me. I have a highly different opinion between product and customer service when it comes to Home Depot, at least the one in Brantford, ON. Rated 5 out of 5 by Annac82 from Love these floors! Installation was super easy and the look and feel is amazing. Was very well priced and we have a dog that runs around like crazy. People always compliment our new floors. Rated 5 out of 5 by JOE PRO from Great floor Purchased it for our basement as the real hardwood was not an option' have installed a few and this is much better to other systems out there so far so good. will see in the long turm! Rated 5 out of 5 by Dantheman from Happy with the results Easy to install, looks great and appears to be quite resistant to scratching and wearing. Rated 5 out of 5 by Camper guy from Living room upgrade Purchased this floor for an incredible price on sale, just less a $1 per square foot. Easy to install except for maybe 3 pieces. (I laid 350 sq. ft) amazing value and great hand scraped looks. I will definitely buy it again for my bedrooms. Highly recommend. Not too concerned about the floor itself, but there is a recommended underlay that you should use with this product. If memory serves it&rsquo;s sort of foam-based. &nbsp;I would check out the specs on that product - see if it can be used on top of a floor heating. Why can this not be installed below grade? The specification details says &quot;All Grade&quot;, which includes below grade. What is the square footage that this box has in total because I can't seem to find that sort of important info anywhere? Thanks! 17.72 square feet. Each case has eight 50.3&quot; x 6.3&quot; pieces. Is there a step edge to match this dark grey hickory that can be ordered? What type of underlay should be used with this product when installed on concrete. How well does this flooring hold up to water? Will the joints swell and flooring lift with water on it for a short period of time?